Wish I'd made it over to the 2017 one, but I was ill with a nasty, fluey cold at the time. I'll hope to keep healthy for this one. It's a fantastic gathering. The tionol is getting closer, so we thought it a good time to suggest possible accomodations options for people attending. 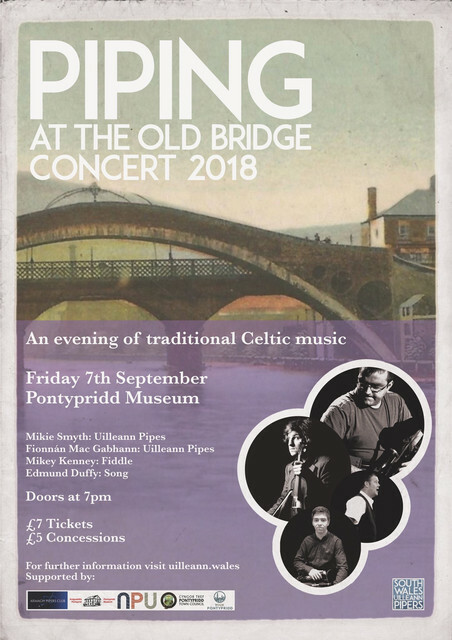 1) Heritage Park Hotel, Pontypridd - The hotel is about a 5 minute drive/taxi ride from the museum where the tionol will be held. The hotel has agreed a discount for people attending the event. 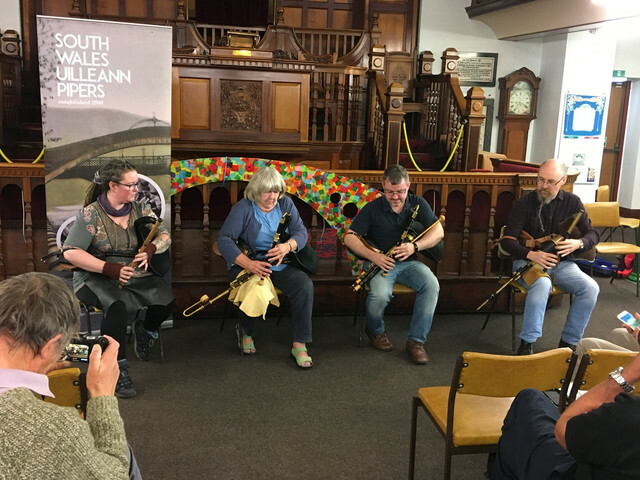 Just call the reservations desk at 01443 687057 (rather than go through the website) and mention that you are there for the Irish bagpipes festival and they will give you a reduced rate. 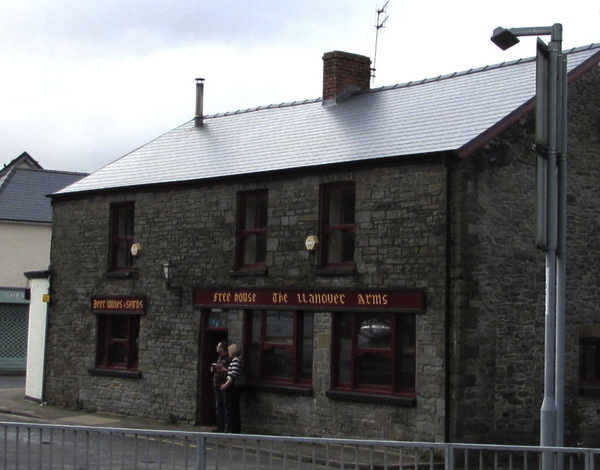 2) Blueberry Inn, Pontypridd - The inn is a small boutique hotel in the centre of Pontypridd, walking distance from the museum where the tionol will be held. 3) Premier Inn, Llantrisant - Discount hotel approximately 6 miles (20 minute drive) from Pontypridd. 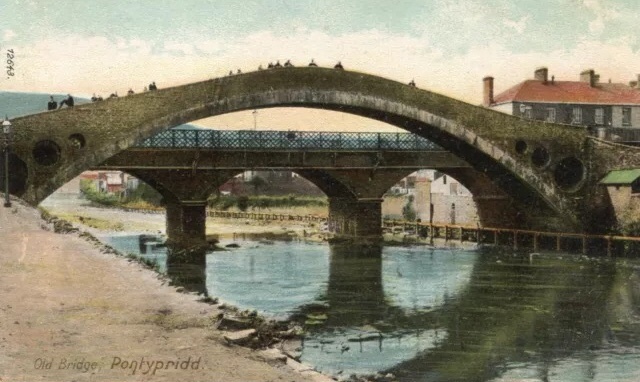 There are also a small number of guest houses, B&Bs and AirBnB options within a couple of miles of Pontypridd which can be accessed via various online booking websites. A lovely weekend in South Wales. 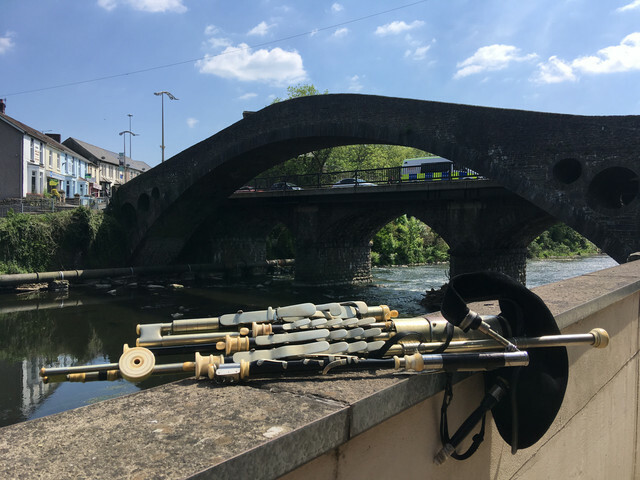 Pipes at the Old Bridge in Pontypridd. Just a preview of the site of our tionol in September. New poster! Mark the dates. Concert on Friday night and classes on Saturday. 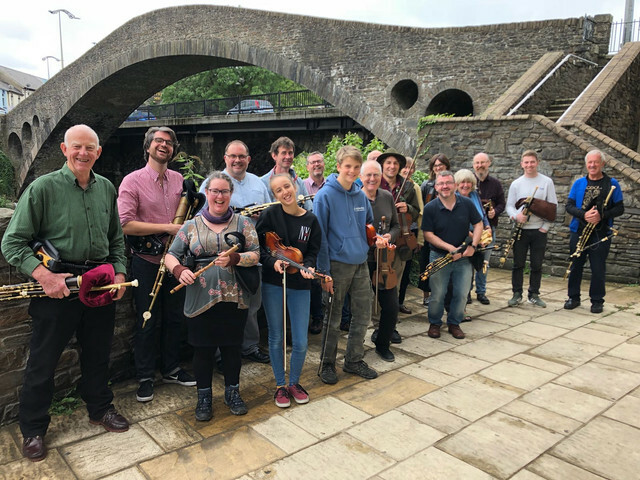 We are excited to confirm that the Friday night session (following the opening concert) will take place in the back room 'snug' at the historic Llanover Arms Pub. 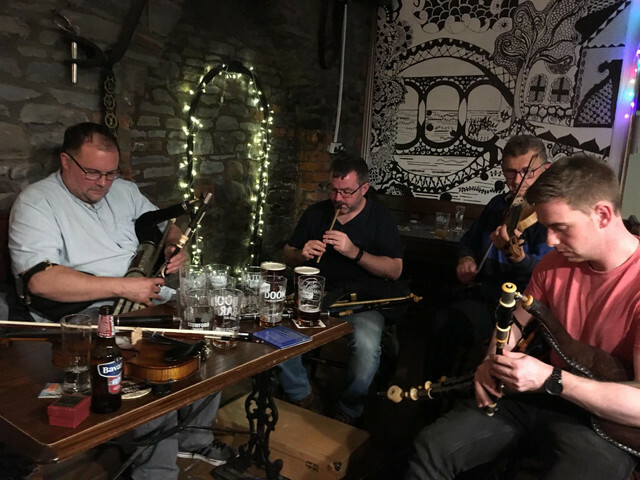 Owned by the same family since 1899, and only a few minutes walk from the museum, The Llanover is a landmark in Pontypridd. One of the oldest buildings in the area, and easily the best pint of Guinness in town. The last piece of our tionol weekend has now been confirmed! 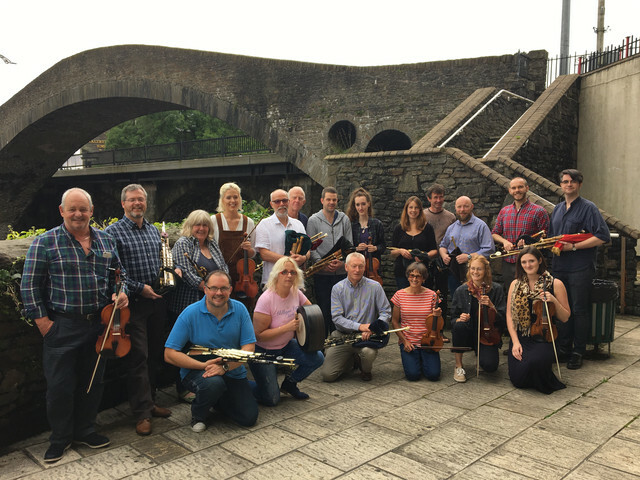 We are pleased to announce that our closing night session on Saturday evening will be at Clwb Y Bont on Taff Street in Pontypridd, a few minutes walk from the Pontypridd Museum where the classes will be held all day Saturday. The session will start at 8pm. 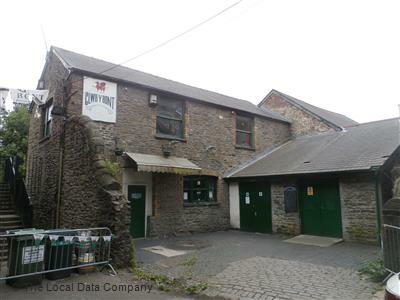 Clwb Y Bont is a renovated old stone-built warehouse on the banks of the river Taff, and is a great venue for music. Just over three weeks until the tionol! 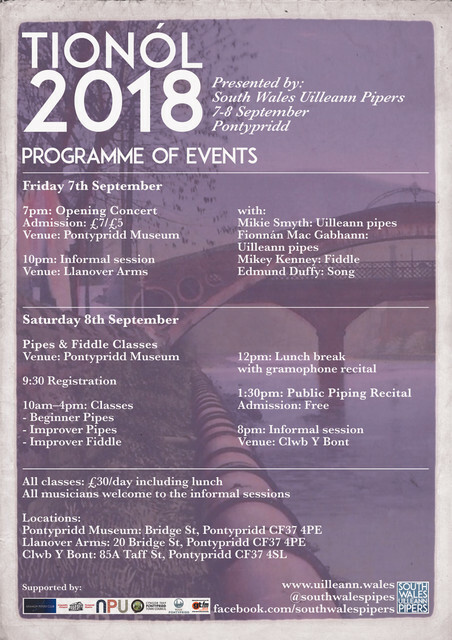 We are pleased to announce that the most excellent Soul Spice vegan curry stall in Pontypridd Market will be catering Saturday lunch for all the pipers and fiddlers. If people could confirm their attendance with us ahead of time that would be appreciated as it will help us organise the lunch. The tionol is next weekend. 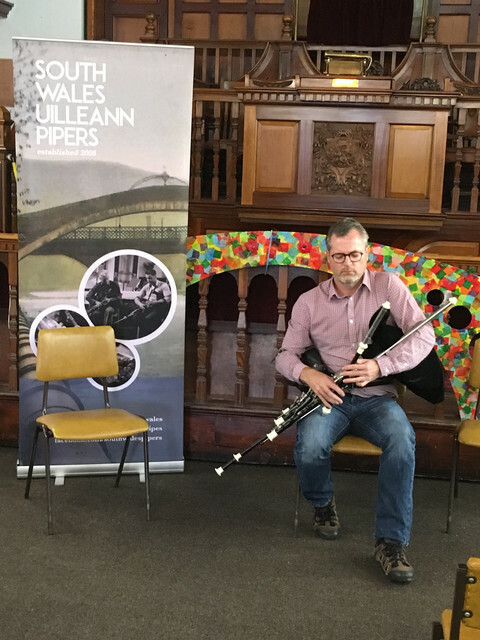 Join us in Pontypridd with our great guest pipers Mikie Smyth and Fionnán MacGabhann. 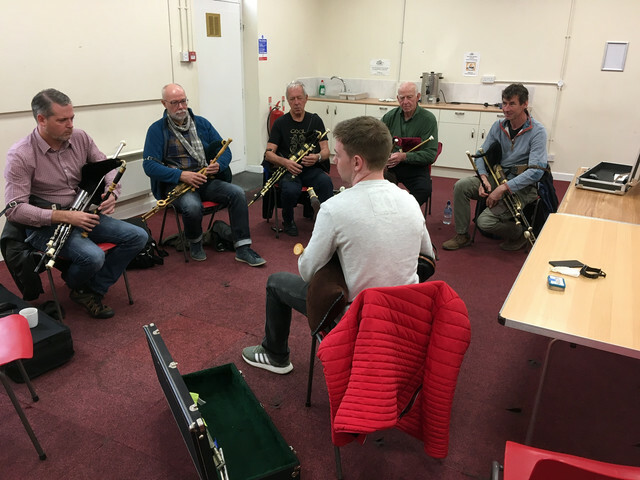 Also fiddle classes with Mikey Kenney of the Liverpool Ceili Band. PM me if any last minute questions. Looking forward to welcoming you all to South Wales. 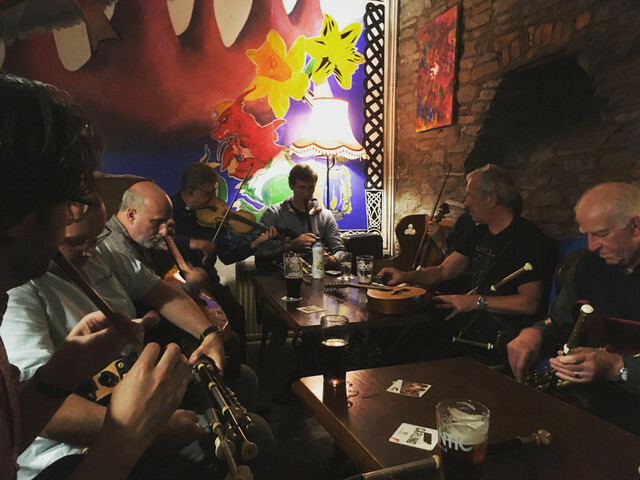 Lovely session last night at the Llanover Arms. 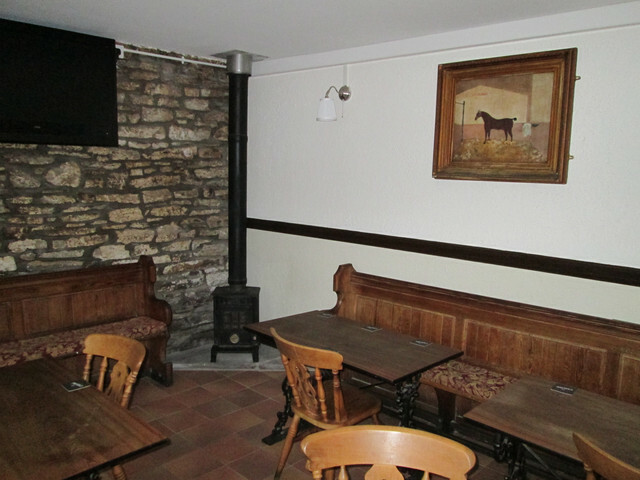 Nice pub. Lovely music, and lovely company. Was great to see Mikie Smyth again. He was on fine form. Have fun, all you people in the classes today! Just to say, thank you so much to Rick and, I presume, others for organising this event. 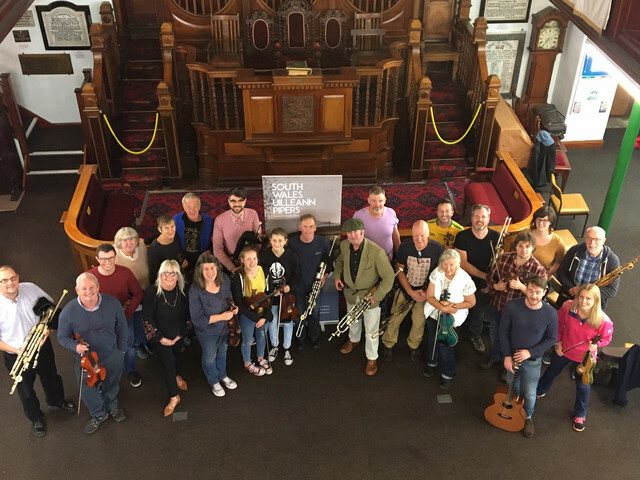 It's a fantastic event for music in Wales. The people who were there were a lovely bunch, and the standard of tutor is absolutely top-notch. Brilliant stuff! Much appreciated. Well done to all. Thanks for coming out Ben. Great to see you. Glad you enjoyed the sessions as well. 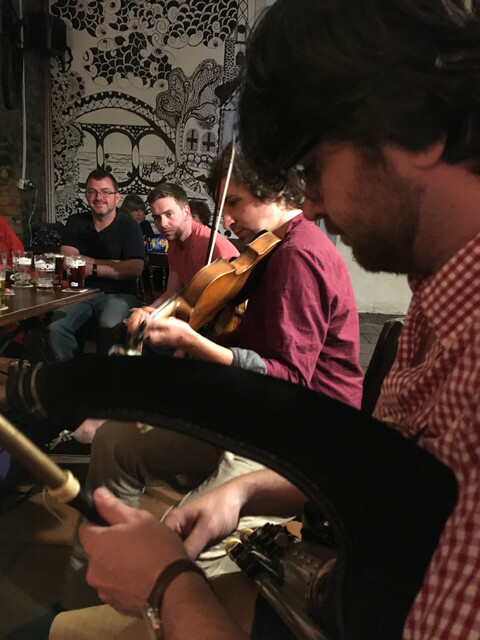 Here is a little clip from the Llanover Arms session on Friday night. More pics and videos to come. 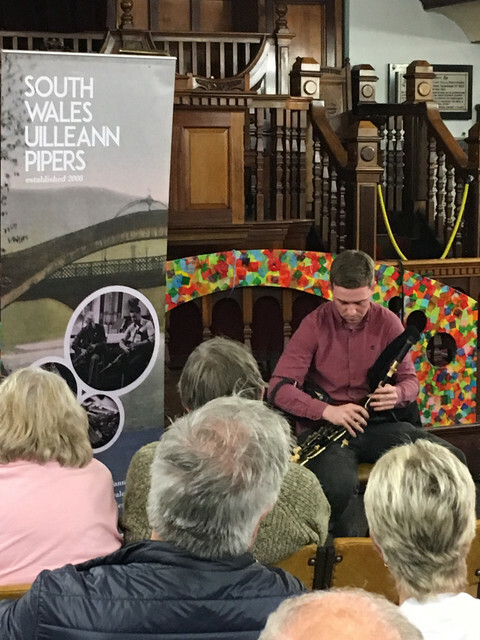 Thanks to everyone who came out to Pontypridd this weekend for another fantastic South Wales Tionol. 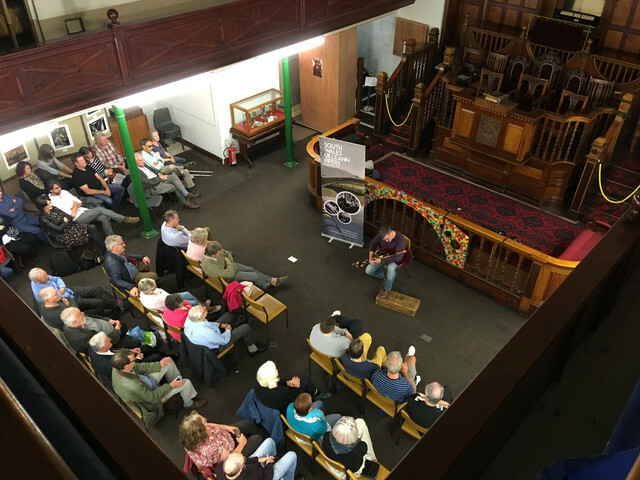 A jam packed weekend of concerts, classes and sessions. 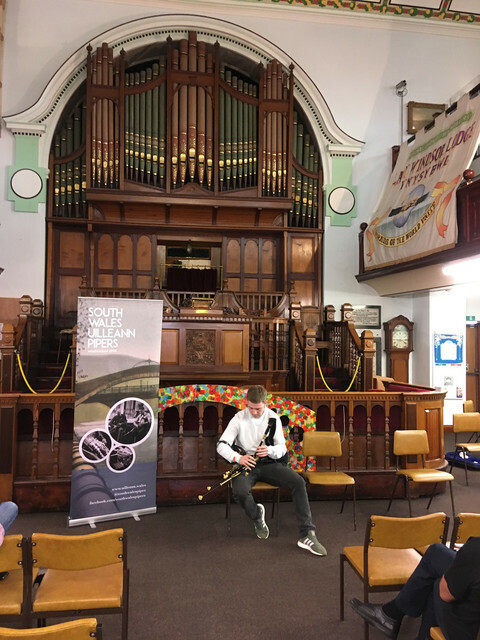 A big thanks to Mikie Smyth and Fionnan Mac Gabhann for their great humour, enthusiasm and music (and for braving - and surviving - the mountain road!) And a huge thanks to NPU for once again supporting our event. Here are a few photos of the weekend. See you next year!